Ledisi’s ninth album Let Love Rule has just been released by Verve Records. Once again overseen by the artist and long-time musical buddy Rex Rideout, it as usual places Led with a number of different writing and production partners and so encompasses different styles, from soul through to R&B and pop. Guests include John Legend [vocals on the song Give You More], BJ The Chicago Kid [vocals on Us 4ever], and Kirk Franklin. We managed to buttonhole the singer for a short catch-up. 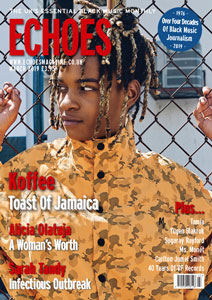 Echoes: It’s been three years since the last album [The Truth], during which time you appeared in the movie Selma, portraying Mahalia Jackson and also starred in the Gabourey Sidibe-directed indie film Tale of Four: are you chasing Oscars now as well as Grammys? Echoes: We read a recent comment that you didn’t feel ready to do this album at first? Ledisi: “I was away acting, writing, reading books… having a life. I been running since 2000, trying to make music that I like. I was enjoying my time off and exploring some other avenues. Rex was like, ‘You need to come back and make some new music’. I wasn’t really in the headspace. I can execute whatever, but as far as the writing is concerned, the creating, I wasn’t really there yet. It took a while. I got more into it by the middle and the end. 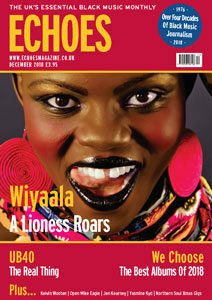 Echoes: The album opens with a reggae-influenced track, Shot Down, one that carries a powerful message in the lyric. Ledisi: “I went to Jamaica and I was inspired by it. I was listening to a lot of Bob Marley’s music during my time off and one thing I noticed about it was that it made you feel good, but it had such powerful lyrics. So when I was listening to the beat of this song with DJ Khalil I kept hearing this phrase, ‘shot down’, in my head. I told him I wanted that reggae feel and it took me a long time to write the lyric – in the end I wrote it on the plane and finished it with him two months later. “I was upset about everything that’s happening and that was what I wanted to say. It fit perfectly as the opener because that’s what’s happening right now. It’s where we are with this whole thing with guns and police brutality and Black Lives Matter. The song makes you feel good, but it has deep lyrics. 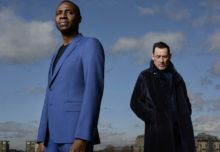 Echoes: The song Here has an Anita Baker feel to it – one aimed at your legion of old soul fans? Ledisi: “No, nothing is planned for the listener, ever. I do it how I feel naturally. Nothing is aimed at a particular group of people. I stopped doing that back in 2009. Those days went away. “That’s the first song I did with Jeff Gitelman – we did probably five songs together. I did almost enough for a whole album with a lot of the different producers. I had written the melody and hadn’t written the lyrics yet, and Rex said he liked that first song we did, so we got back together again with Jeff towards the end of the album and I finished the lyric. 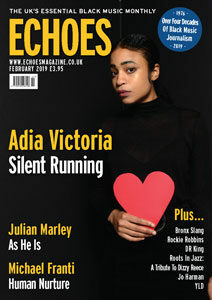 Echoes: And the hook-up with John Legend?